Geothermal Projects in London are becoming more popular. If you live in London you are no doubt aware of the problems faced by passengers feeling the temperatures rise in the Underground Stations. The summer months can be a hot and sticky experience as trains are overflowing and passenger numbers continue to increase. 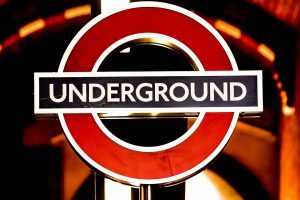 In 2009 the London Underground’s (LU’s) cooling the Tube Programme (CTP) was created to address the problem of excessive heat in the London Underground environment and to design and construct cooling systems to prevent the problem. A number of solutions have been implemented across London over the years however it is still a big issue today giving rise to a lecture given at The Institution of Engineering and Technology by Sharon Duffy, Head of Station Systems Engineering, LU Crossrail and Stations in June 2017. Temporary summer fans in 29 LU stations with known heat problems, mainly those in central London and / or with deep level lines. Platform level supply ventilation where a supply of fresh air is pumped to the platform areas via existing ventilation shifts at three stations. Impulse fans installed at Lambeth North and Marylebone Bakerloo line stations to circulate air along the platforms. Variable refrigerant flow system, replacing existing air conditioning at Seven Sisters, particularly reducing the heat in the ticket hall and staff areas. Chiller units at Euston, delivering cooler air to ticket hall and staff areas. Back in 2012 Drilcorp worked on the programme to extract water from a deep aquifer and to use borehole cooling as a low energy, environmentally friendly solution for one Underground station at Green Park. This has previously been trialled at Victoria Station where using ground water to cool the station was tested using water from the River Tyburn to cool the air. Working to a very tight deadline the team, drilled, developed and tested two extraction boreholes in a busy park location. The work was planned to ensure that no damage was caused to mature trees either above or below ground level. Access to the site also had to be shielded from the public with minimum noise during working hours. An Unexploded Ordinance Survey was carried out to establish that there were no bombs underground remaining from WW2 and to prevent delays once the site work commenced. Each borehole was drilled, lined, tested and CCTV and geophysical records were provided. The boreholes were completed to a depth of 130 metres below ground level, terminating in the chalk aquifer with an open hole diameter of 450mm. The cool water from the boreholes was sucked to the surface and used to cool a separate water supply which was pumped down to the platforms. On completion the plant was demobilised from site and grass reinstated within a few weeks. Getting heat out of the London Underground is a huge engineering challenge and one which involved the use of developing new technologies as well as more traditional approaches. However the team at Drilcorp completed the works successfully, on time and to budget. New specifications for the Tube are being developed to try and include air conditioning units within the carriages and also the addition of new lighter trains which use less energy.